Air pollution inside the home is putting people at risk of developing heart disease, cancer and breathing problems, experts have today warned. 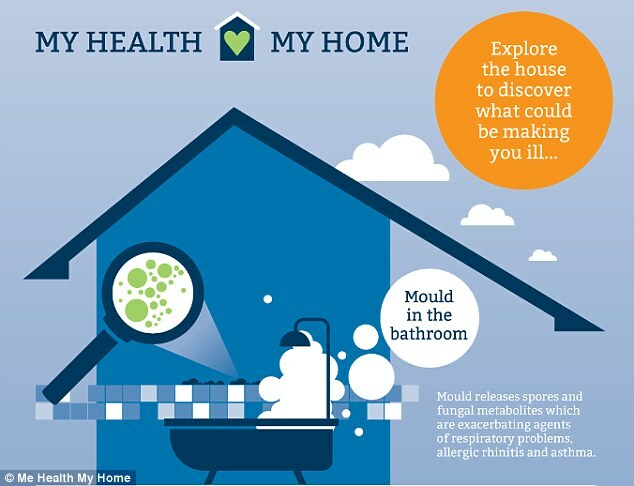 Toxic Home Syndrome, which affects around 15.3 million houses in the UK, is where a person’s health deteriorates because of the air circulating in their home. Scientists have warned simple day-today tasks, such as doing the washing or cooking dinner, could be putting families at risk of cardiovascular disease, lung cancer and asthma. 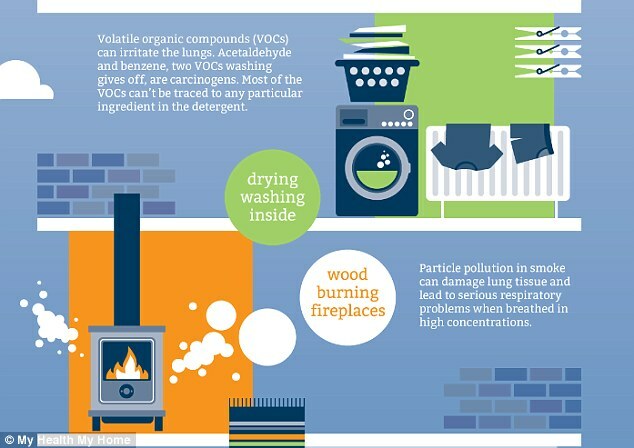 Air circulating in the home contains more than 900 chemicals, including mould, which can increase a person’s risk of developing heart disease, cancer and asthma. Coughing, watery eyes, dizziness, sneezing, feeling tired and suffering headaches can be common signs of poor indoor air quality. While more severe symptoms include eye irritation, rashes, muscle pain, respiratory problems, asthma, fever or chills, hearing loss, nose bleeds, wheezing and lung disease.